Victor Adding Machine - History of the Victor Adding Machine Co.
Victor Adding Machine Co. was established in Chicago in 1918, with the chief designer (and one of the 3 owners) Oliver David Johantgen (1875-1932), an engineer with a long (since 1896) experience in the field of mechanical calculators and a holder of several patents (see US patent №1306112 for Victor adding machine). The struggling company faced almost certain collapse until they secured a deposit of 100$ on a machine from one Carl Buehler, the owner of a successful chain of butcher's shops and meat markets. Buehler soon discovered that the new company was sadly lacking in capital, production facilities, and business experience, and that his promised adding machine was largely "vaporware". However, Buehler recognized the potential of a low-cost machine, that could be sold to businesses such as his own, and agreed to got 10 shares of the company’s stock, to bankroll the company and assist in getting the project off the ground. 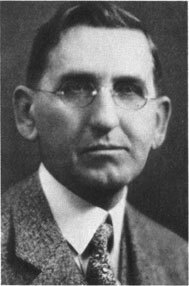 He was quickly elected President of Victor, soon becoming the majority stockholder and installing his eldest son Albert C. Buehler as manager. The first Victor adding machine, the Model 110 (see the nearby image), was introduced in 1919 but was not very successful device. It was a full-keyboard non-printing machine with a front-mounted register, with only repeat and zeroing keys. So it would appear that this first model was a key-set design requiring a handle pull for each entry. In effect, it was a lister without the listing equipment. Apparently very few of these machines were ever sold and Victor moved swiftly into production of a lister model (strangely enough, under the same name—Model 110). The company sold 100000 of its improved Model 110 by 1926. The early non printing model cost $85, the model without carriage cost $100, the model with carriage $125. In 1921 the machine was extended at the rear to include a printing mechanism and was released as the 200 series. At a retail price of $100, 2000 units sell in the first year. Between 1921 and 1925, Victor's annual sales jumped from less than $300,000 to nearly $2 million. An improved 300 series appeared in 1923, and a machine with direct subtraction in 1928. The 300 series grew to include 6, 8, or 10 column machines, versions for fractions, time, or feet and inches, and export models for Sterling currency. The 500 series (see the lower image) with an optional internal motor drive appeared in 1931. 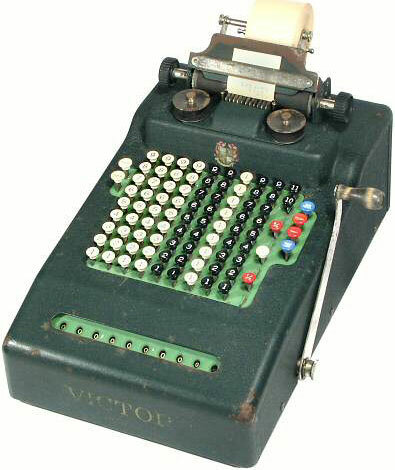 Until 1958 the total number of Victor calculators reached 1500000 devices. 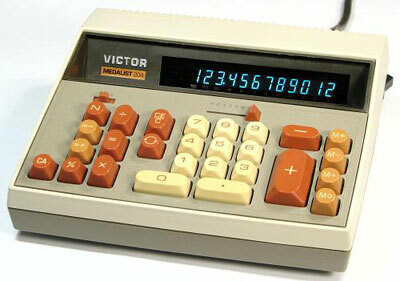 Despite of the several acquisitions by other companies, Victor calculators are still in production now. In the lower image you can see the Victor Medalist 204 from the end of 1970s, a general-purpose office calculator using a single-chip processor (A4540EB), that was developed by Rockwell in 1976.